A federal court is allowing health insurers to sue together as a class to challenge the federal government's failure to pay cost-sharing reduction payments. Judge Margaret Sweeney of the U.S. Court of Federal Claims granted Wisconsin-based Common Ground Healthcare Cooperative's request for class action status on Tuesday. She rejected the federal government's argument that the insurers shouldn't receive class action status because their alleged damages would vary, since some insurers were not hurt by the CSR cutoff because they raised premiums to make up for losing those subsidies. As a result, the government paid higher premium tax credits. The judge said no statute prohibits insurers from raising premiums to offset the loss of CSRs. She pointed to another case in which the court concluded that the fact that the government ended up paying higher premium tax credits to consumers does not lessen or eliminate its liability for making CSR payments. South Dakota-based Sanford Health Plan, Montana Health Co-op and Maine Community Health Options have filed similar suits against the federal government over unpaid CSRs. The development is a win for health insurers, many of which loaded premium increases attributable to the loss of the CSRs into their 2018 silver plan premiums on the Affordable Care Act exchanges after the Trump administration ended that form of financial assistance in October 2017. CSRs help lower the out-of-pocket healthcare costs for individuals with incomes up to 250% of the federal poverty level. By loading premium increases into the silver plans, the size of the premium tax credits available to people with incomes up to 400% of the federal poverty level increased enough so that most exchange plan members never felt the burden of the 2018 premium hikes. 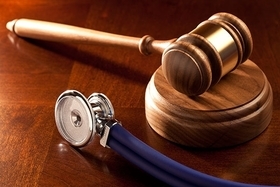 The litigation is far from over, and the federal government will likely appeal the decision to grant the case class-action status, Nicholas Bagley, a health law expert at the University of Michigan, pointed out on Twitter. If insurers ultimately prevail, the federal government could be on the hook for billions in unpaid CSR payments.